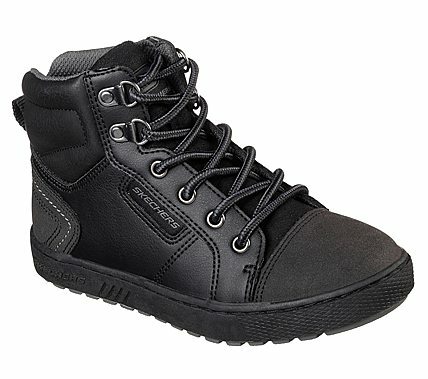 Give him some rugged handsome style and comfort with the SKECHERS Direct Pulse - City Clique boot. Smooth faux leather synthetic upper in a lace up casual ankle boot with stitching and overlay accents. Gel Infused Memory Foam insole.